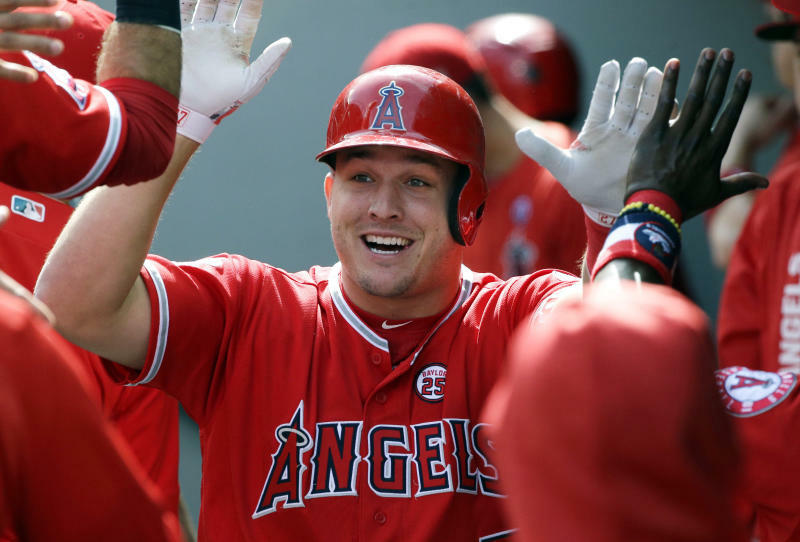 Although Trout recently built a home in his native New Jersey, he is staying on the West Coast with the Angels, who are coming off three straight losing seasons and haven't won a playoff game during his career. 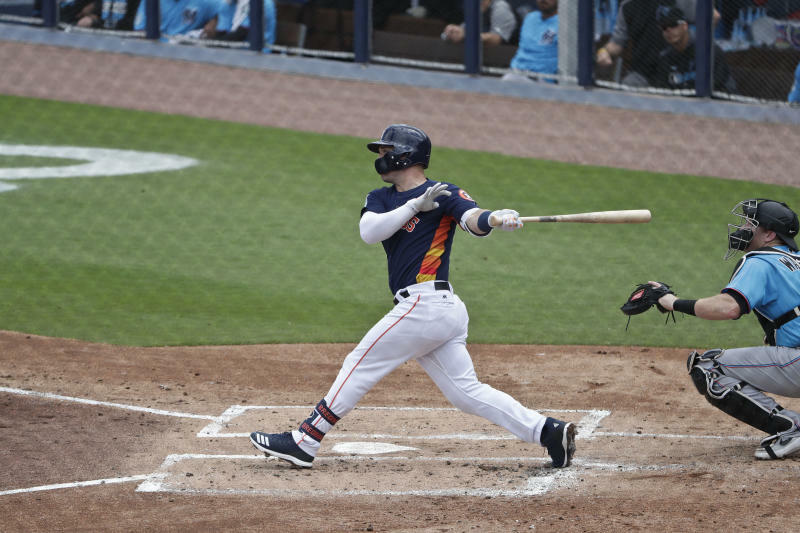 Bregman's agreement includes this season, buys out three years of arbitration eligibility (2020-22) and pushes back his opportunity to become a free agent by two years. Tampa Bay's Tyler Glasnow struggled in his fourth start. The right-hander issued four walks in 3 2/3 innings and was charged with five runs, sending his spring ERA to 11.00. Collin Cowgill capped Washington's three-run ninth with a two-run homer. Anibal Sanchez pitched five innings of two-run ball. Austin Riley, one of Atlanta's top prospects, hit a solo drive for his first spring homer. Bullpen hopeful Max Fried made his third start, striking out seven in five scoreless innings. Yu Darvish made his fourth start for Chicago's split squad, pitching 4 2/3 innings against a team of Mariners minor leaguers and allowing two runs — one earned — and five hits, striking out six and walking two. Darvish also had an RBI single. Ian Happ and Jason Heyward had RBI doubles and Wilson Contreras singled in a run. Kyle Lewis, Seattle's No. 1 pick in the 2016 draft, hit his third home run — a solo shot off reliever Carl Edwards Jr. — and his third double, scoring twice and raising his average to .429. Ryan O'Hearn homered, doubled and drove in five runs for Kansas City. Jorge Soler added two hits, and Jakob Junis gave up two runs in five innings. Cities Don't Have Souls. Why Do We Battle For Them?